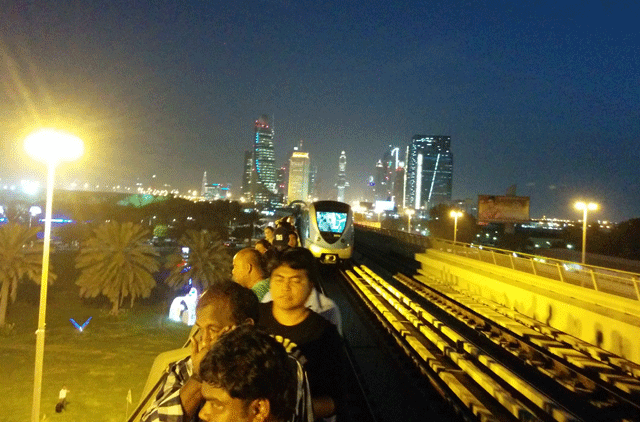 Dubai: Commuters on a segment of the Dubai Metro’s Red Line were stranded on Tuesday evening after a train stopped between Al Karama and Al Jafiliya stations during peak hours following a technical snag. As of 10pm, Metro services were fully restored after a technical glitch halted operations on the Red Line. An hour earlier, more than 100 passengers were still stranded outside the Dubai Mall/Burj Khalifa Station and were waiting for either public transport buses or taxis. According to a Roads and Transport Authority (RTA) official, the train on the Red Line was hit by an electrical failure, causing the metro to stall operations between the Union and Business Bay metro stations. An RTA official said emergency evacuation was done from trains and stations and commuters were provided with free shuttle service. At least 1,110 taxis were stationed at the affected Metro stations. Speaking to Gulf News, Moaza Saeed Al Merri, Director of Marketing and Communications at RTA, said that a team of technicians worked to rectify the issue. The incident between Al Karama and Al Jafiliya delayed passengers at other stations on the Red Line because trains could not pass through the affected stations. 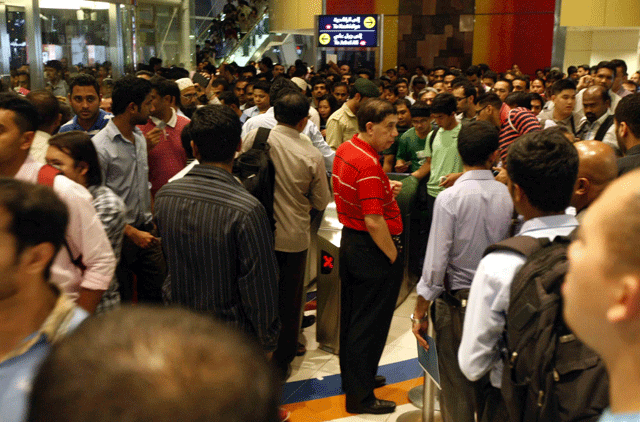 At about 8.15pm, a stranded commuter told Gulf News the train service on the affected segment has not been restored yet. 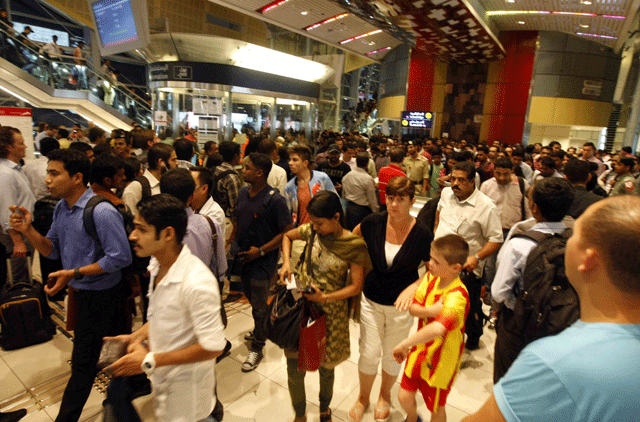 Many commuters were seen walking from Business Bay towards the Dubai Mall. 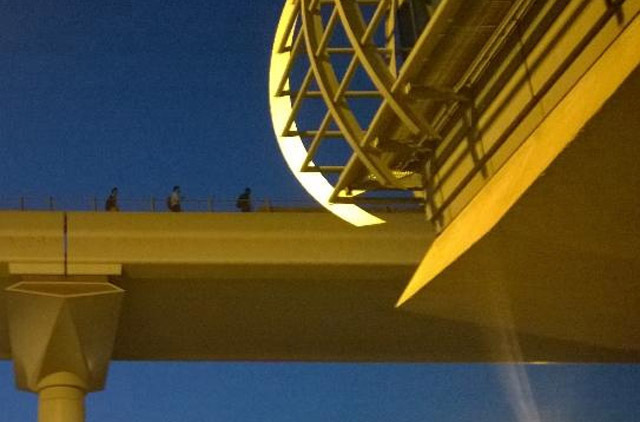 According to a passenger on the train that stopped, the train stopped suddenly between Al Karama and Al Jafiliya metro stations at 6.40pm leaving people stuck in the train without air-conditioning. “The train stopped suddenly and the AC went off. People had trouble breathing as the train was packed,” Mohammad Rafique said. Once they realised that the power was shut down, commuters got out of the train and walked on the tracks all the way to Al Karama station. Some passengers have gone to social media to report the service disruption.